Erimama Investment Company Ltd is a Lagos Nigeria real estate company dedicated to making properties available to people living in Nigeria (and overseas) who want to invest in Lagos Nigeria and get high return on their investment. It is a well-known fact that Lagos State is the dream investment destination in Nigeria because Lagos is already a massive commercial city. In addition, the global investments in the Lekki Free Trade Zone and the investments in the new Lekki Deep Sea port is attracting even more investments to Lagos State, Nigeria. 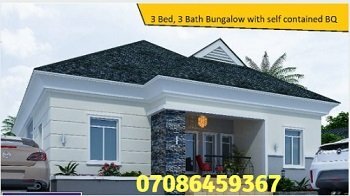 This is the right time to investment in Lagos Nigeria real estate. And we are here to help you navigate the Lagos property market and invest in properties with potential for high return on investment. Click HERE to contact us and make your dream come true. The CEO of Erimama Investment Company Ltd is Samson Itoje. Samson Itoje is a seasoned engineer, author, and manufacturing expert. He specializes in deploying global strategies to solving local problems with an eye on process optimization and customer satisfaction. Samson Itoje is the author of this premium real estate web site as well as our portacabin manufacturing web site. 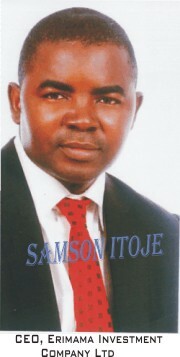 Samson Itoje is a trust worthy, industrious, resourceful, honest and God-fearing businessman. And he brings all of these attributes and business acumen to Erimama Investment Company Ltd.
To give our customers the best possible service. Ngozi Ruth Itoje (Mrs) is an Executive Director (ED) at Erimama Investment Company Ltd. Her insight, discernment, and professional touch makes Erimama Investment Company Ltd the preferred real estate investing company to work with. Erimama Investment Company Ltd uses a legal consultant to cover all transactions to ensure all deals are legal and binding on all parties. This means that you have nothing to fear when you do business with us. You're fully covered. Our business is built on a foundation of honesty and trust. The clients who do business with us trust us to help then buy or rent property that meet their specifications . . . their dream property. Our customers also trust us to build for them quality portable cabins and prefab houses wherever they need them. Our customers leave satisfied. And they return to do more business with us. At Erimama Investment Company Ltd, it is "honesty or nothing". Honesty is for us the only policy. (See our trust policy ). Thinking of investing in Lagos Nigeria real estate? Want to buy portable cabins or prefab homes? Simply Click HERE Contact Us.